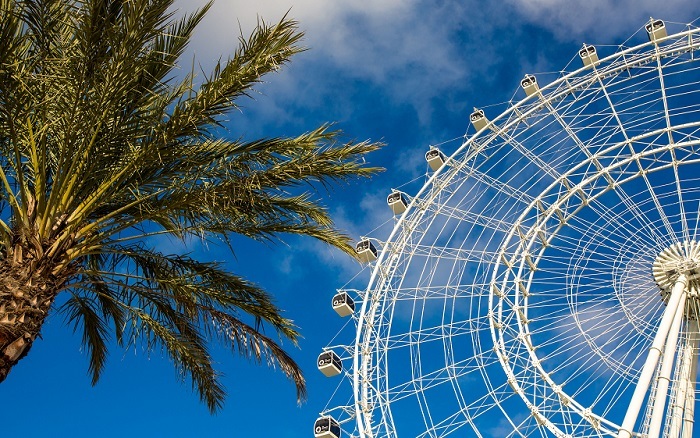 The Orlando Eye will have Florida residents walking on sunshine with special rates to ride on the 400-foot observation wheel. Now Florida residents can purchase flights on the Orlando Eye for $18 ($13 for children between the ages of 3-12) with proof of residency. This special offer saves visitors more than 25 percent off regular admission. For a limited time, tickets may be purchased at OfficialOrlandoEye.com or at the attraction’s admissions desk. This offer is valid for Florida residents, with valid proof of residency, such as a state-issued ID, utilities or cable bill, bank statement, library card, or recent paystub. Prices and hours subject to change without notice. Attraction admission is not guaranteed and subject to availability. The offer is not valid for premium products (Orlando Eye Flex ticket, VIP Experience or Private capsules). This offer cannot be combined with any other offers or packages. 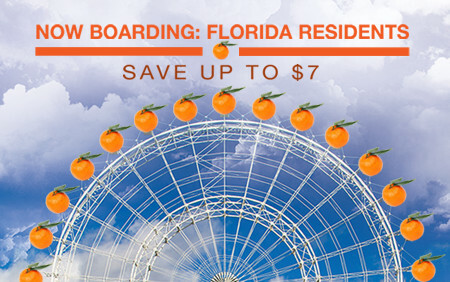 For more information on the Florida resident rate, or to view additional ticket packages, visit OfficialOrlandoEye.com.